Improved function. The implant and associated planning software adds accuracy to the surgical procedure particularly in those patients who’s anatomy is unusual and their total knee reconstruction surgically challenging. The femoral component is a dual radius posterior stabilised design in six sizes with 4mm difference in AP dimension between sizes. 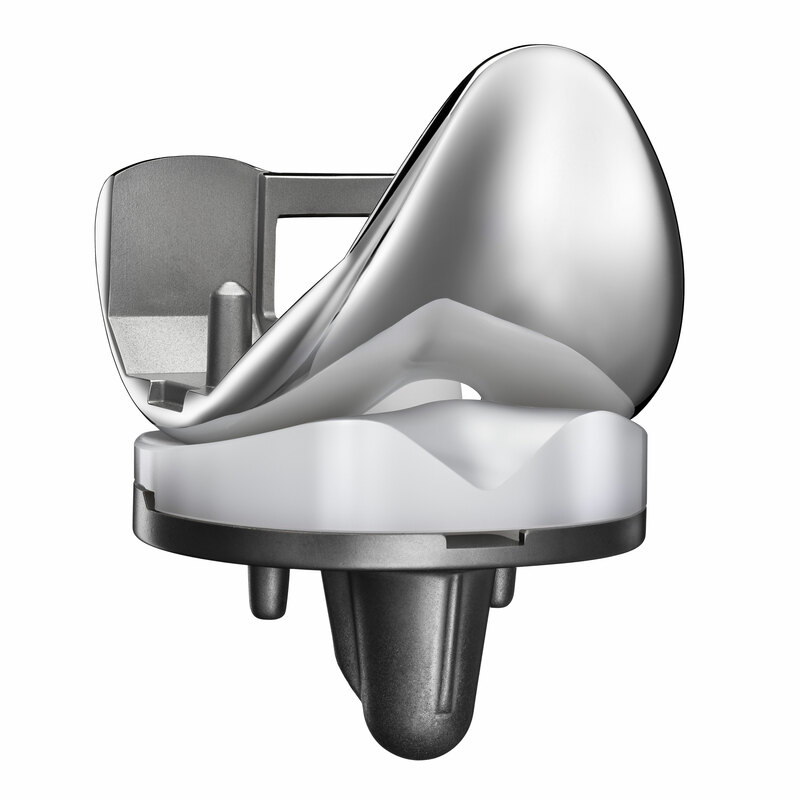 The first radius (0-90°) induces congruence with the tibial insert giving high A/P stability from extension into flexion, the second radius facilitates rollback; high flexion with cam on post action that optimises stress distribution. A modular tibial component compliments fixation methods and kinematic preferences. The system is supported by KneePLAN 3D proprietary software modelling and patient specific instrumentation - single use, which optimises component positioning, particularly in reconstruction of constitutional deformity.